What Makes an Animal a Pest? What’s the difference between your pet dog and a wild dog? Why is it that we frown upon the presence of feral European rabbits, but dote on our fluffy rabbit pets? The answer is really quite simple. Unlike domesticated animals that we welcome into our homes as part of the family, feral animal species pose much greater threats to our community. While having a pet is scientifically proven to improve our wellbeing and that of our children, feral animals do just the opposite. A pest is any animal that has a harmful effect on our health, food, living conditions, and our natural environment. Many pest species are known for their destructive tendencies towards crop, livestock, and physical property, as well as for the diseases they carry, and sometimes even their violent tendencies. Australia has a number of feral animals that cause significant problems for native wildlife, the environment and crop production. Most of these are species that have been introduced, however, there are a handful of native animals, such as kangaroos, that can also cause significant economic or environmental damage. 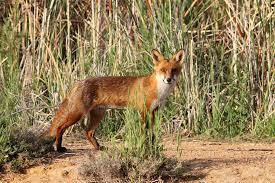 For instance, foxes are opportunistic predators and scavengers, who have hardly any natural predators in Australia. They were originally introduced to mainland Australia in the 1850s for recreational hunting, but they spread quickly. Today, they can be found in all Australian states and territories, except Tasmania. Not only will their numbers continue to grow if humans don’t interfere; they also pose a threat to livestock, as they prey on poultry, lambs, and goat kids. Research also suggests that red foxes are responsible for the decline, and extinction, of a range of small and medium-sized rodent and marsupial species. They also pose a threat to many Australian bird species, and aid in the transmission of a number of diseases, including distemper, parvo virus, and mange. Similarly, feral cats not only prey directly on native fauna, but they also transmit diseases such as toxoplasmosis, which can make it easier for foxes and feral cats to hunt their prey (such as bandicoots and bilbies), as the fauna may become blind or uncoordinated. This is just one example of how feral animal species negatively affect wildlife, the agricultural industry, and of course, human health and wellbeing. The implications of these wild animals, if left unchecked, would be severe, which is why the need for animal pest control services is so great. Animal Pest Management Services specialises in animal pest control in the Northern Territory, South Australia, Western Australia, and across Australia in general. As one of Australia’s leading animal control companies, we’re able to assist with any pest control services in Perth and across the country. Contact us today for more information!